The Gall–Peters projection is a rectangular map projection that maps all areas such that they have the correct sizes relative to each other. Like any equal-area projection, it achieves this goal by distorting most shapes. The projection is a particular example of the cylindrical equal-area projection with latitudes 45° north and south as the regions on the map that have no distortion. The Mercator projection is a cylindrical map projection presented by the Flemish geographer and cartographer Gerardus Mercator in 1569. It became the standard map projection for nautical navigation because of its ability to represent lines of constant course, known as rhumb lines or loxodromes, as straight segments that conserve the angles with the meridians. Although the linear scale is equal in all directions around any point, thus preserving the angles and the shapes of small objects, the Mercator projection distorts the size of objects as the latitude increases from the Equator to the poles, where the scale becomes infinite. 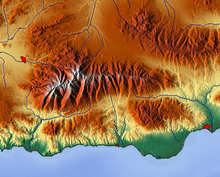 So, for example, landmasses such as Greenland and Antarctica appear much larger than they actually are, relative to landmasses near the equator such as Central Africa. A map projection is a systematic transformation of the latitudes and longitudes of locations from the surface of a sphere or an ellipsoid into locations on a plane. Maps cannot be created without map projections. All map projections necessarily distort the surface in some fashion. Depending on the purpose of the map, some distortions are acceptable and others are not; therefore, different map projections exist in order to preserve some properties of the sphere-like body at the expense of other properties. There is no limit to the number of possible map projections. 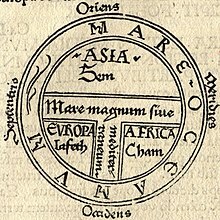 Gerardus Mercator was a 16th-century Southern Dutch cartographer, geographer and cosmographer. He was renowned for creating the 1569 world map based on a new projection which represented sailing courses of constant bearing as straight lines—an innovation that is still employed in nautical charts. The Goode homolosine projection is a pseudocylindrical, equal-area, composite map projection used for world maps. Normally it is presented with multiple interruptions. Its equal-area property makes it useful for presenting spatial distribution of phenomena. 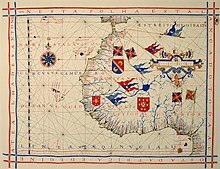 Portolan or portulan charts are ancient nautical charts, first made in the 13th century in the Mediterranean basin and later expanded to include other regions, which have been noted for their high cartographic accuracy. The word portolan comes from the Italian portulano, meaning "related to ports or harbors", and which since at least the 17th century designates "a collection of sailing directions". 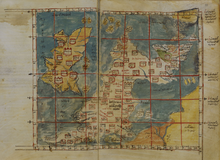 Cartography, or mapmaking, has been an integral part of human history for millions of years. From cave paintings to ancient maps of Babylon, Greece, and Asia, through the Age of Discovery, and on into the 21st century, people have created and used maps as essential tools to help them define, explain, and navigate their way through the world. 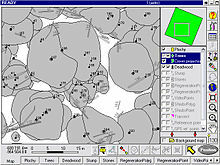 Maps began as two-dimensional drawings but can also adopt three-dimensional shapes and be stored in purely numerical forms. Pictorial maps depict a given territory with a more artistic rather than technical style. 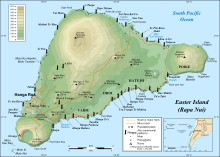 It is a type of map in contrast to road map, atlas, or topographic map. 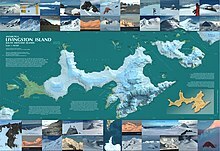 The cartography can be a sophisticated 3-D perspective landscape or a simple map graphic enlivened with illustrations of buildings, people and animals. They can feature all sorts of varied topics like historical events, legendary figures or local agricultural products and cover anything from an entire continent to a college campus. Drawn by specialized artists and illustrators, pictorial maps are a rich, centuries-old tradition and a diverse art form that ranges from cartoon maps on restaurant placemats to treasured art prints in museums. In cartography, the cylindrical equal-area projection is a family of cylindrical, equal-area map projections. 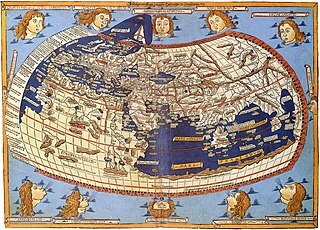 The Mercator world map of 1569 is titled Nova et Aucta Orbis Terrae Descriptio ad Usum Navigantium Emendate Accommodata. The title shows that Gerardus Mercator aimed to present contemporary knowledge of the geography of the world and at the same time 'correct' the chart to be more useful to sailors. This 'correction', whereby constant bearing sailing courses on the sphere are mapped to straight lines on the plane map, characterizes the Mercator projection. 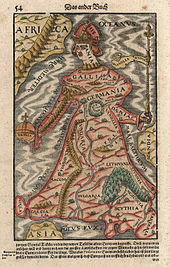 While the map's geography has been superseded by modern knowledge, its projection proved to be one of the most significant advances in the history of cartography, inspiring map historian Nordenskiöld to write "The master of Rupelmonde stands unsurpassed in the history of cartography since the time of Ptolemy." The projection heralded a new era in the evolution of navigation maps and charts and it is still their basis.